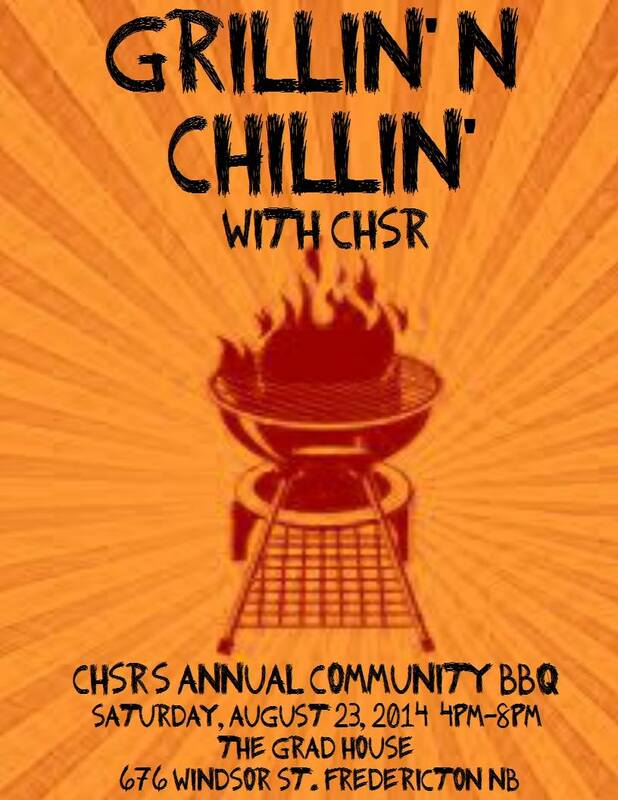 Home » Specialty » Events » CHSR’s Annual Community BBQ! Calling all artists, musicians, community organizations, friends, listeners, alumni and supporters of CHSR: we are holding a party, and we hope you’ll join us! 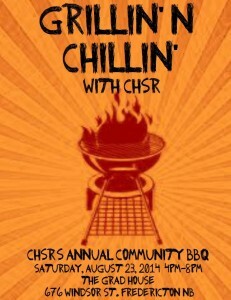 For the last couple of years, CHSR has been celebrating the end of summer and the beginning of student season with fire! We will be hosting a BBQ for the community on Saturday, August 23 from 4pm until 8pm. We’re holding it at the Grad House on UNB Fredericton Campus, 676 Windsor St, Fredericton, NB.